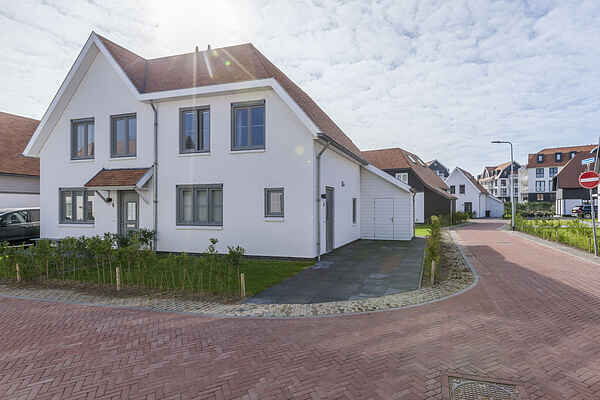 This brand new holiday villa is located in a small park at the edge of the dunes in Cadzand Bad. The beach and its stylish pavilions are only a 5-minute walk away. Restaurants and shops are also close by. The holiday home is charmingly decorated with various beach elements. There is a spacious living area with an open kitchen. On the floor above, there are 3 bedrooms with a bathroom. The garden is located on the south side and is fully enclosed. You can enjoy the sun at any time on the terrace. You can go on great cycling and hiking trips from the holiday home. Het Zwin is a gorgeous nature reserve on the border of the Netherlands and Belgium. Cadzand has recently acquired a new marina with a restaurant from Michelin-star chef Sergio Herman. The fashionable spa town of Knokke and the cultural city of Bruges are a short distance away.